Sorry Senator but the “family stories” excuse is bull. Every year during Passover Jewish families tells the story of the Exodus from Egypt. The story begins with “we were slaves in Egypt.” We all know Egypt is in Africa, but based on that family story I don’t hear any American Jews claiming to be African Americans. Warren is expected to formally announce she’s running for president during a rally in Massachusetts on Saturday. But she may delay that to see if she can recover from her latest fake Native American news. Just four months ago she reopened the controversy when she revealed the results of a DNA test. The DNA test conducted by Prof. Carlos D. Bustamante of Sanford University, reports that the Warren may have had one Native American ancestor 6-10 generations ago. Her DNA was between 1/64th and 1/1,024th Native American. 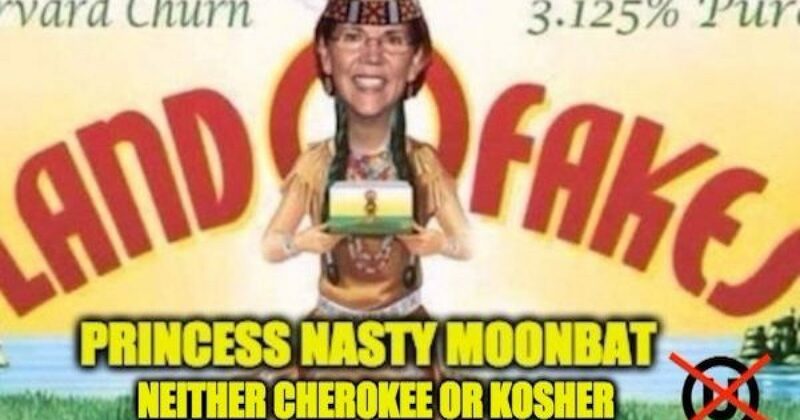 Or to put it another way, the results of the analysis show that she only slightly more Native American than Connecticut Senator Richard Blumenthal is a veteran of combat in the Vietnam war. In other words, she is a liar. She’s contended that contended that she never used her fake Native American ancestry to advance her career. Now that we’ve seen the phony claim in her own handwriting are we really supposed to believe she never used it to help her career? “It has now been thirty-three (33) years since she made this representation to the Texas Bar and has never made an attempt to correct her registration card. Therefore it is clear that Attorney Warren lacked the ‘Good Moral Character’ required for admission to the Texas Bar and should be disciplined for her three (3) decades of untruthfulness,” the request added. It would be cool if the Bar Association did anything about Warren’s “misinformation,” but it would be astonishing if they did. Below is McDaniel’s full letter.